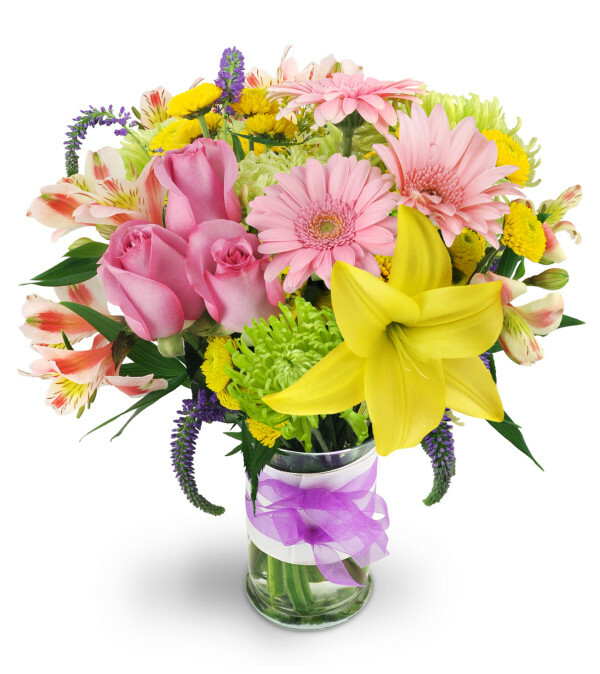 Whether you're wishing someone a Happy Birthday or just a happy day, send along a beautiful Spring Surprise! This outstanding arrangement is bursting with roses, gerbera daisies, veronica, chrysanthemums and alstroemeria and is guaranteed to put a little spring in someone's step! 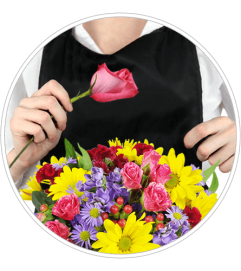 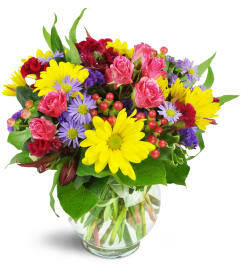 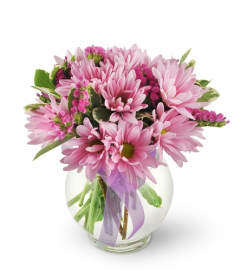 Roses, mini gerbera daisies, alstroemeria, veronica, and mums are delightful grouped in a clear glass vase.